Vanguard Cleaning of Minnesota |Dependable customized dental office cleaning. Is your current cleaning service meeting the standards and expectations for your dental office and clinical spaces? Not every commercial cleaning company or janitorial crew is a good fit for every business. Vanguard Cleaning Systems of Minnesota can match you with an experienced, flexible commercial cleaning crew that understands the unique needs of a dental office, oral surgery center, or orthodontist. With more than 70 franchisees serving 430+ accounts in Minneapolis, St Paul, Rochester and the surrounding metro area, Vanguard’s vetted cleaning teams know how to clean dental clinic environments. Vanguard’s franchise-based business owners are dedicated to providing exceptional customer service each and every time. A Vanguard Cleaning Systems expert will match your dental, orthodontic or oral surgery clinic with the right janitorial crew for your unique needs. How much valuable time do you spend managing your current cleaning service? In the competitive dental and orthodontic sector, the appearance of your facility is important to attracting and retaining patients. Stop trying to work around other companies’ limited dental office cleaning options and start working with a company that understands your specific needs. Your patients and staff might not mention the cleanliness of your facility but it definitely influences their perception of your practice. A clean dental office helps attract and retain patients and staff, saving you time, energy and money. 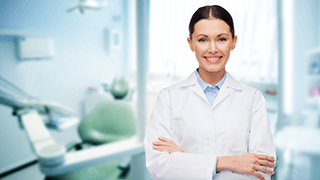 There are many things to consider before choosing a dental office cleaning service that’s right for your building, patients and staff. For example, what’s right for a small dental office is not a good fit for a high traffic orthodontic facility. The Vanguard Cleaning Services team is happy to help you consider all your options with this FREE 12-page guide to choosing a commercial cleaning company: “8 Steps to Hiring a Dental Office Cleaning Company“.